ROCHESTER, NY (WXXI) – Ping-pong, video games, a music studio. Libraries have been changing for several years, offering electronic books and other technology. However, they’re also changing to become more accessible, offering young people a safe place to explore and nurture skills needed for today’s economy. Teens love it because they’re having fun. She said her favorite activity is playing the virtual reality games in the center. Teens also can enjoy every modern video game platform, a fully loaded music studio and several board games that are scattered among the work spaces and rows of books. It’s a place where Lowry can have fun and see her friends, but she said she also appreciates how safe the space is. “Intellectual freedom allows a person to come in to a space and feel free to go after any information or knowledge they desire,” Williams said. It means students interested in music can learn to actually make music, not only for free, but also with guidance from Teen Central staff. The Rochester Public Library isn’t alone. Across Monroe County, librarians are working to engage more young people and make the library a place to learn for everyone. At the Greece Public Library, director Cassie Guthrie said they’ve even created a Teen Advisory Board, with 18 teenage members, to help youths make real changes around the library and engage with patrons. They help at events, put together programming and even help senior citizens with technological issues. “For us, it’s just brought such vibrancy into the library,” she said about the board. The shift made a big difference, and she said she was able to partner with Greece school district students and bring other young people in. Many young people involved in library centers learn social, team-building and interrelational skills. And for some, there are even more benefits. 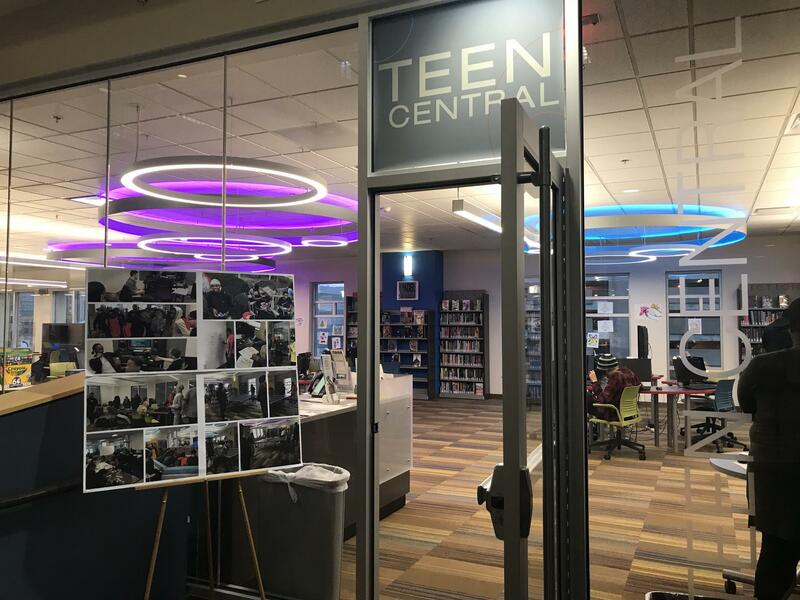 Kevin Rodriguez, a 17-year-old Edison Tech student, said he appreciates Teen Central’s resources — and how it allows him to see his friends who go to different schools and more easily maintain those relationships. He said it’s also perfect for friends who may end up at different schools because they can keep seeing each other at the library. Whether it’s creating intergenerational relationships, exposing young people to technology they wouldn’t otherwise have access to or simply giving them a safe space, local libraries are seriously engaging young people. And it’s a strategic move. By including youths early on, Guthrie said they create patrons who will be invested in their libraries for decades to come. They may be more likely to patronize and support libraries or pursue careers in library sciences. But for right now, youths there are just having a good time learning and connecting with each other.